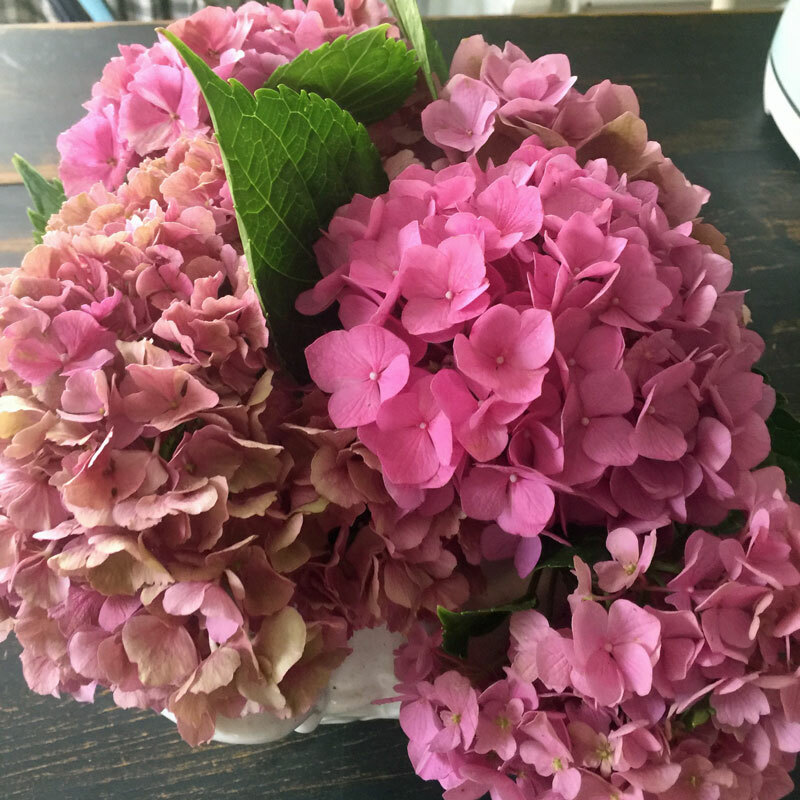 If you saw my Facebook Live video a few weeks ago showing off my hydrangea bushes and asking viewers questions, then you know that I was very pleased with how well my hydrangeas did this year. I only had one plant that didn’t have any blooms on it. Hopefully next year that one will bloom. But in the meantime, I have enjoyed these big, beautiful blooms all summer. 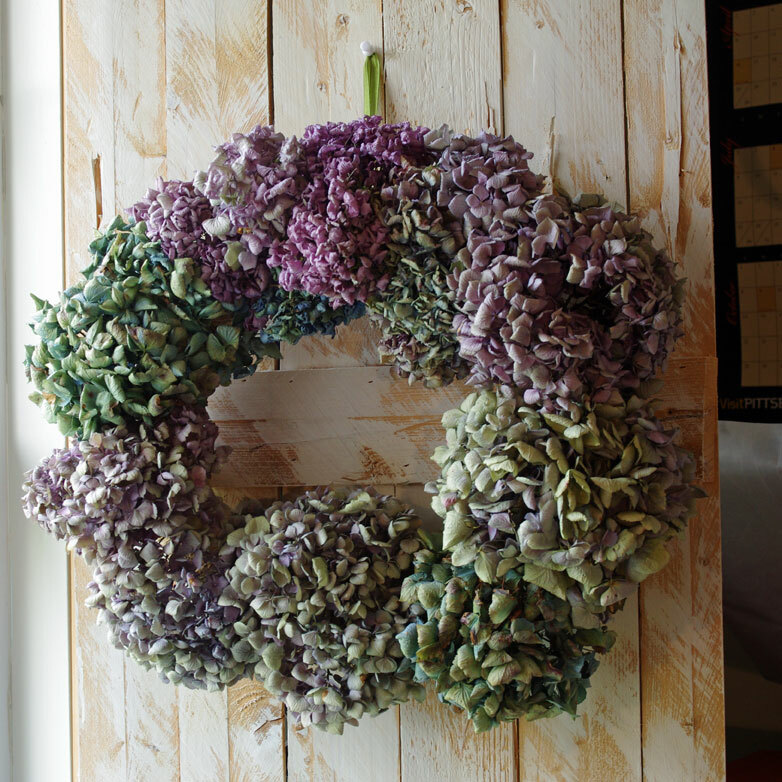 And now that I have learned the tricks on when to cut the blooms and what to do with them so that the color is retained as much as possible, I was able to quickly and easily make this gorgeous hydrangea wreath! 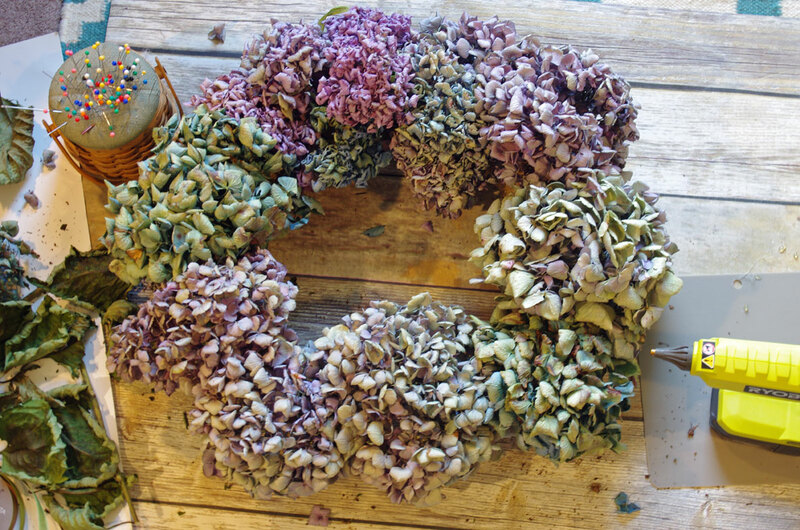 First I waited until the blooms on the hydrangea plants were starting to dry out a little before I cut them. 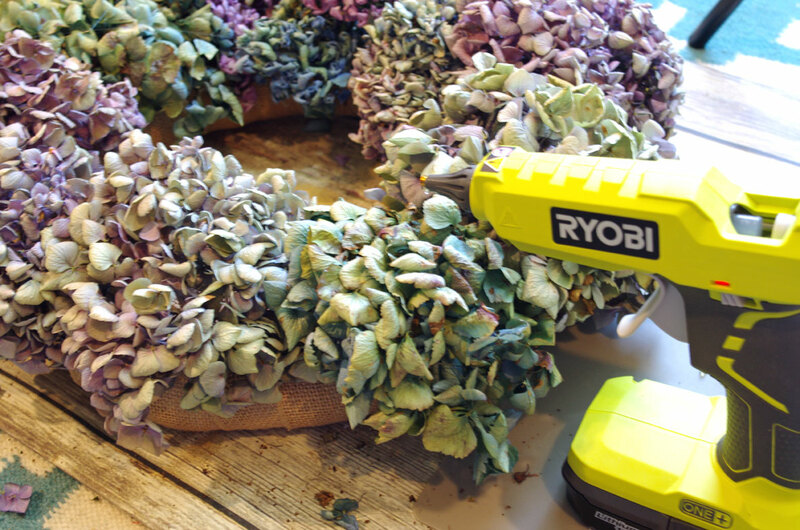 You can tell when it’s a good time because the petals start feeling less “velvety” and more “papery”. I found that this happened almost overnight at the end of July. When I cut them, I left as long of a stem as possible and removed all of the leaves except for the ones near the bloom. 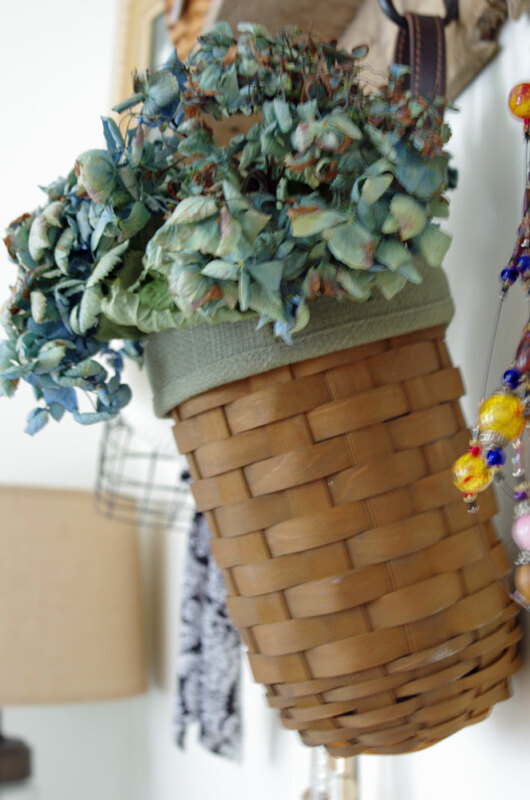 I placed the stems in just an inch or so of water in a vase so that the blooms would dry out slowly thereby retaining as much of their color as possible. 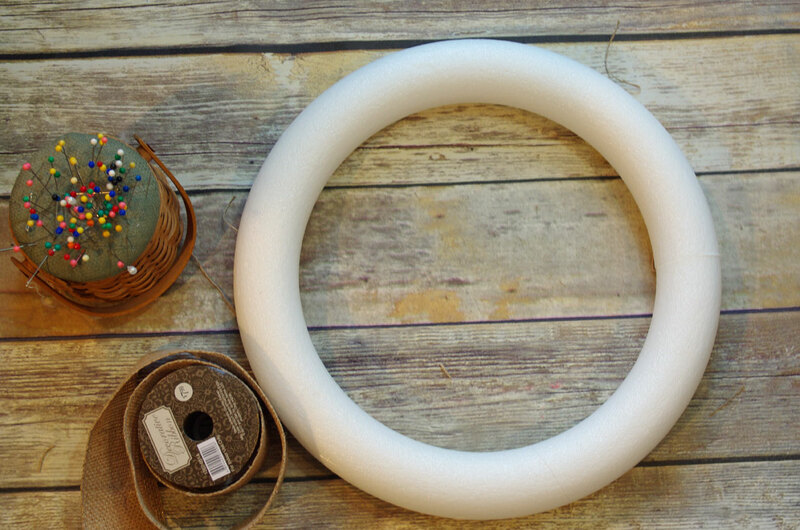 To make the wreath you will need a wreath form. 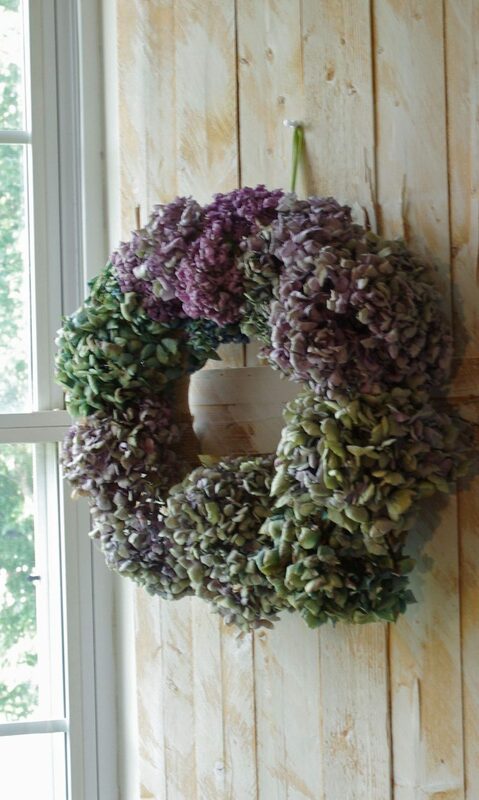 I think a grapevine wreath would probably be best but I had a foam wreath form on hand so I covered it with some burlap-looking ribbon so that bright white foam wouldn’t show peek through the hydrangeas. 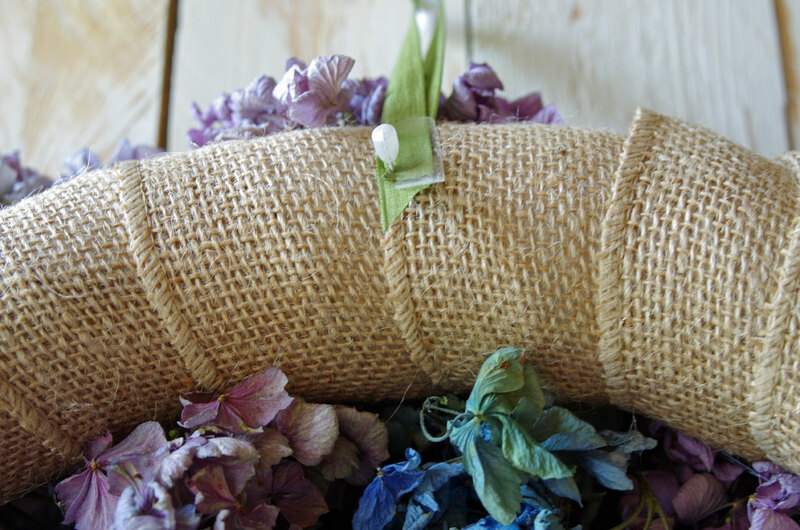 To add a hanger I pinned a loop of ribbon to the back of the wreath. 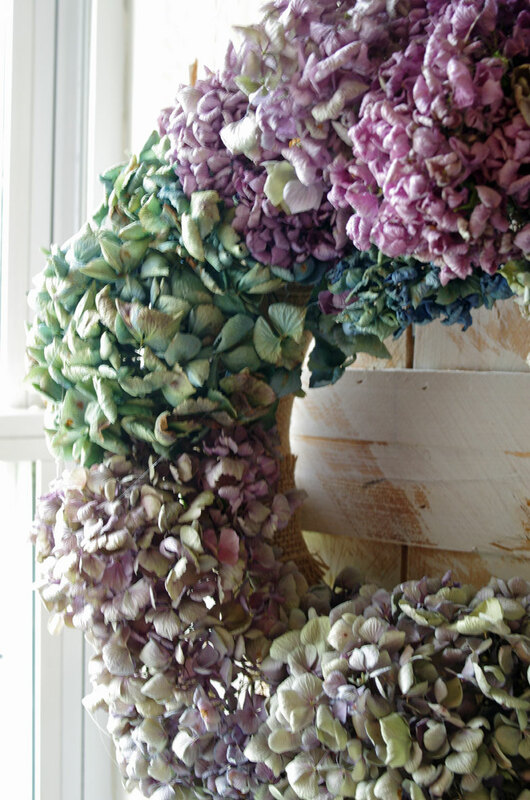 I have been admiring these hydrangea wreaths for so long – I had no idea that they were this easy to make! I decided to hang this one on the shutter in my craft room/office where I can see and enjoy it every day! 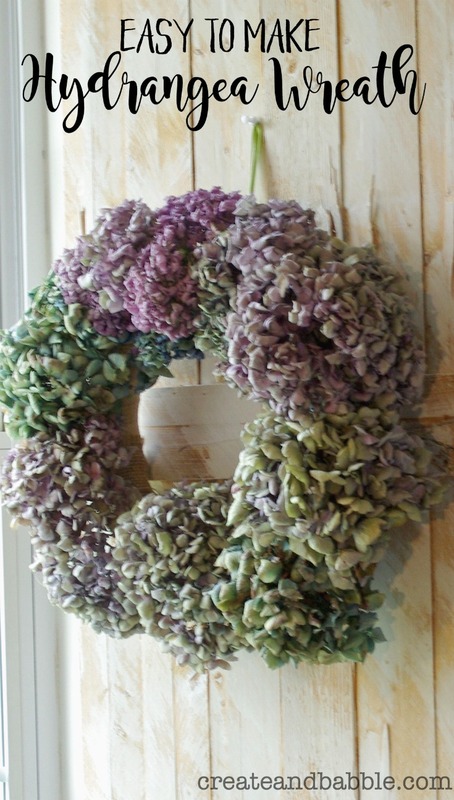 I would love to hear if you grow hydrangeas and how yours grew this year. And if you have any tips and tricks I’d love to hear them. Just leave a comment below! I think I waited a little too long for these poor blue beauties! 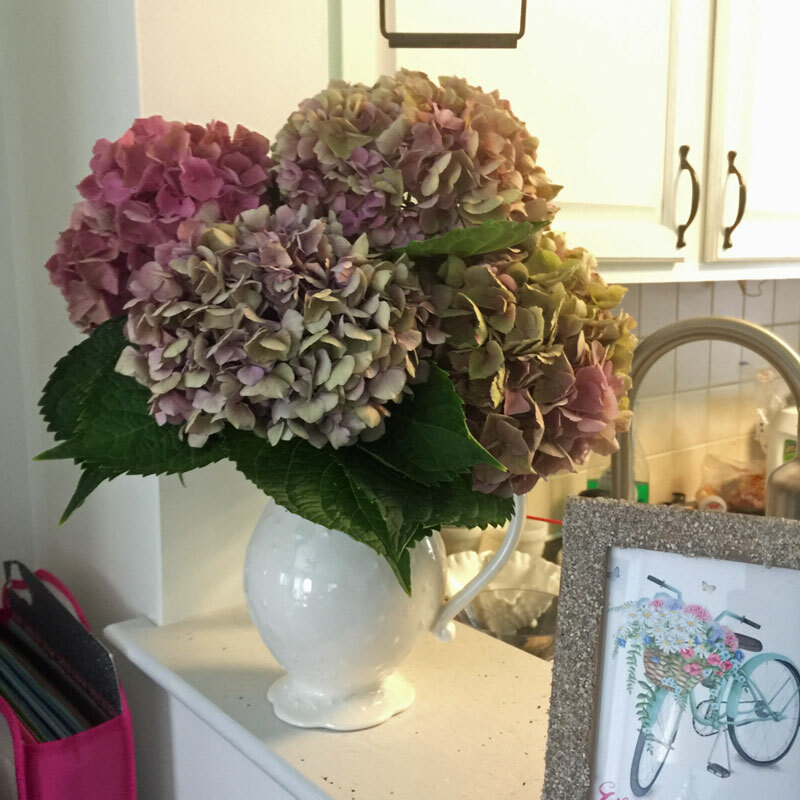 They certainly were pretty when they were at their peak but I saved them anyway and put them in a basket in my master bedroom.